Are you looking for an online Bible study? Do you want to dig deeper into the Word but you don’t have a small group to study with? Starting Monday, Grace on Parade will provide Bible study outlines that will help you get more out of your study of the Bible Unlike many online studies, I hope to help you discover the truths and applications of God’s Word for yourself. What is this passage saying? What does it mean? How does it fit in with the rest of the Bible? How is this relevant to my life? How do I need to react to what this passage says? Use it as a basis for your personal devotion time. You can go as deep or prolonged as you want to. You can think about your answers or write them down. You can tailor your study to where the Holy Spirit leads you. Look up cross references. Study commentaries on the passage. Print out the key verse and place it where you can see it several times during the day. Get a friend or two or gather your family to study and answer the questions together. I want to keep this simple. I want you to be successful at bible study. That’s why I’m limiting my questions to just a few. I want you to actually stop and think about what you are reading and I want to resource you to take those thoughts with you through the rest of your week. I’d love to hear your feedback! I’m an interactive kind of learner and I want to hear your reflections. Feel free to answer the questions in the comments section. Reflect on what others say. Let me know if this is useful to you and how you plan to use this. Let’s get into God’s Word together. I have been going through a personal crisis with my son for three years now and for over a year I have been pulling away from God. My faith in Christ is still strong, but I am feeling lost. I haven’t been in the Word personally for more than a year. My prayer life is just as bad. I just don’t feel God’s presence. I need something ito draw me closer to Him. Our church has been doing a church-wide Bible reading. 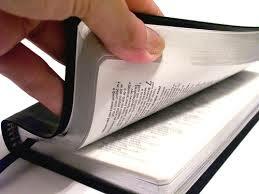 You are given a selected chapter to read each day over a week and answer certain questions. First they did the New Testament and now they’re working through the the Psalms and Proverbs. I tried a couple of times and gave up each time. My heart wasn’t in it. My husband keeps asking me to read the assignments to no avail. I found your website by accident earlier in the year. I was searching on teaching about grace to children. (I teach preschoolers in our Sunday school.) What a blessing your blogs have been! God meant for me to find you. I think I’m ready to do try a new study. Thank you for the invitation. Please let me know more. What a blessing to read this! Thank you so much, Regina. We’ll start with a study of the Beattitudes. Please let me know if the studies meet your needs. I’m open to ideas of how to make this study work in the best way for all of you. Most of all, I hope it will be an incentive to get into God’s Word on a regular basis, to come to a better understanding of His truths and an encouragement to put hose precepts into practice. I’m praying for you. Hi Karen, It’s Eddy Jones. Michele and I would be interested to know more about your Online Bible Study program. We are hoping to establish a more vital women’s ministry at our congregation and we are seeking materials from one of our own in the fellowship that would be worth considering and you came to mind. Hope you are all well! Say hello to Jack for me. Perhaps we can meet for lunch again in the near future. Thanks so much for your input, Eddy. You are the third person to mention this to me in two weeks. I’m working on making resource downloads available so more can use my bible study outlines for other groups. Check back for upcoming details!